This post is sponsored by Welchs® Fruit Rolls. I am being compensated for this post. All comments and opinions are my own. It’s happened to the best of us. It’s 9:00 pm, dinner is done, the dishes have been washed and put away, and your little kids are fast asleep in their beds (finally). You are packing your kids lunches for school the next day and your oldest daughter comes into the kitchen with that look. You know the look; the one that you saw when she forgot the science fair project that was due the following day. She breaks the news to you. She might have volunteered to bring cupcakes to her troop meeting to celebrate the 100th birthday of the Girl Cadettes. Tomorrow. 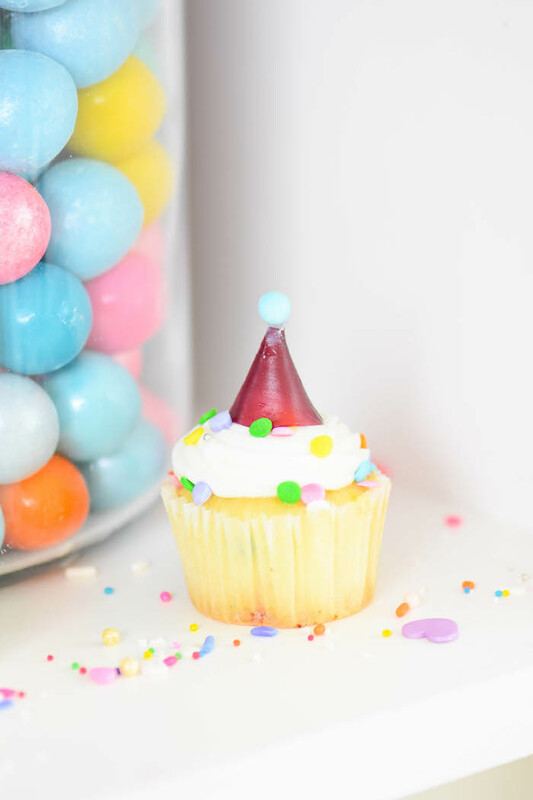 As you mentally run through the ingredients in your pantry, you realize you have everything you need to throw together some birthday cupcakes. As you remind your daughter the importance of being responsible, you look down at your hand and see that you are holding a package of Welch’s Fruit Rolls. Instead of tossing the Welch’s Fruit Rolls into the lunch sack, you absentmindedly open it and slowly unroll the delicious-smelling, fun-to-eat snack and start munching as you preheat the oven and mix the batter. The goodness is like a party in your mouth, and as you enjoy the snack an idea begins to form in your mind. 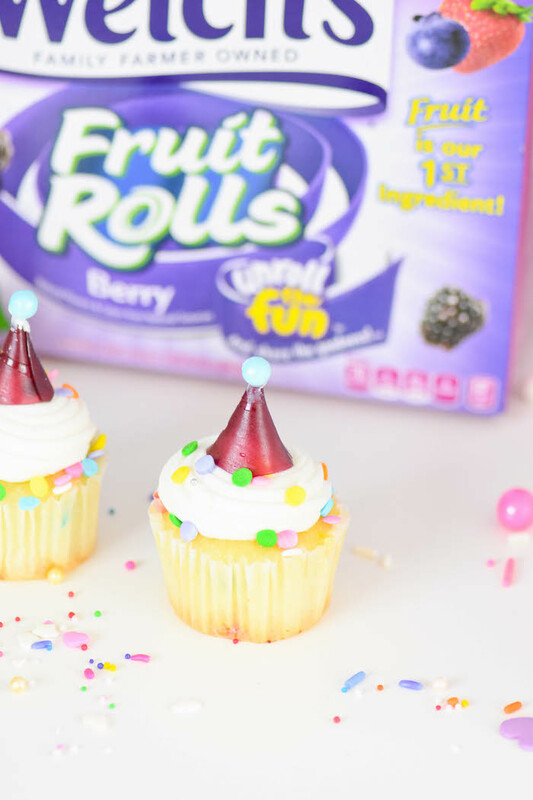 You can use these fruit rolls to take your birthday cupcakes from blah to ba-boom! Before you know it, the cupcakes are out of the oven and you are happily singing to your favorite tunes as you frost the cupcakes. 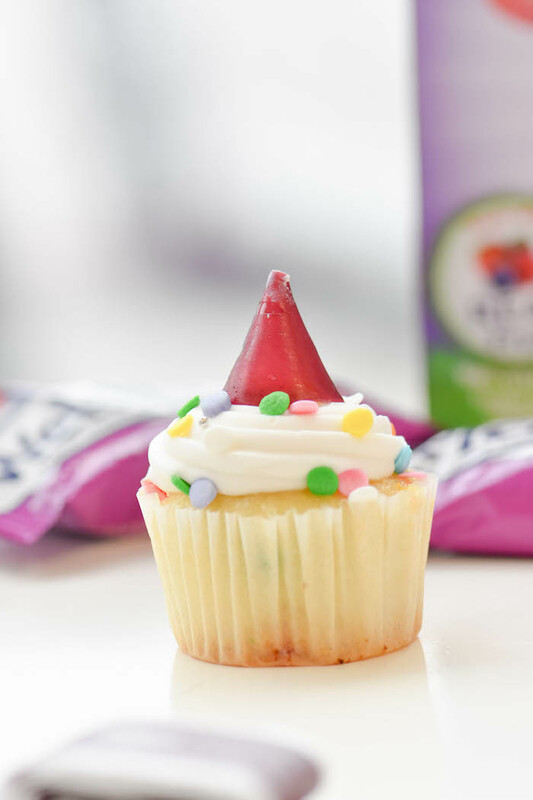 Your creative juices are flowing as you use the Welch’s Fruit Rolls to form party hats on your celebratory cupcakes. A little before 10:30 you place the final party hat on the final birthday cupcake, and you stand back to admire your work. The girls are going to love them! 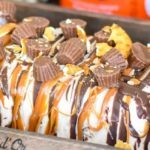 This potential disaster was saved by some super baking and lots of creativity. As you box up the cupcakes you see the extra Welch’s Fruit Rolls sitting on the counter. 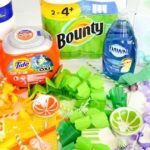 With fruit being the first ingredient and 100% daily value of Vitamin C and 25% daily value of Vitamins A & E in each roll, and especially with the ability to Unroll the Fun you decide to toss in the rest of the packages for the girls to enjoy as part of the party! 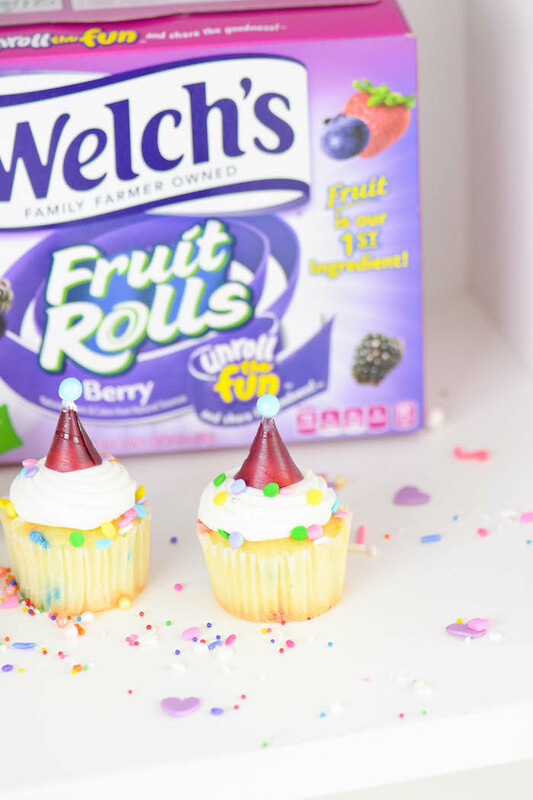 Now, you don’t have to wait until you have a cupcake emergency to experience the fun of Welch’s Fruit Rolls. 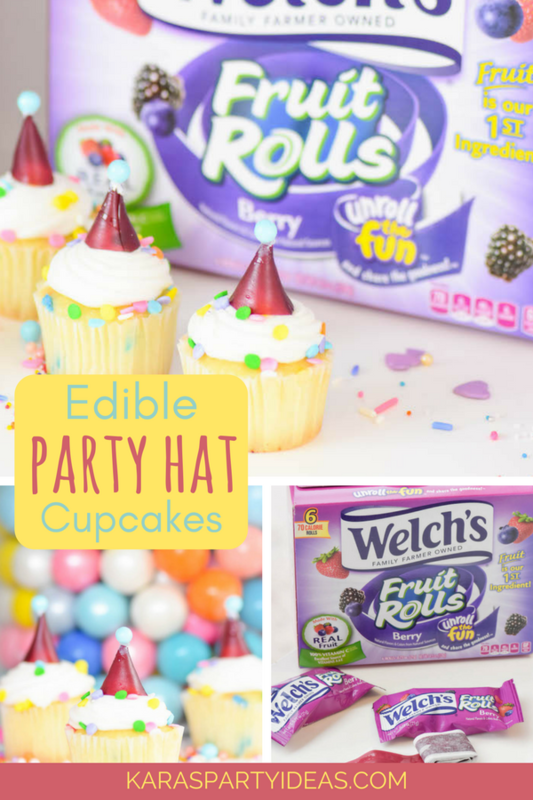 I have included the tutorial for these edible party hat cupcakes so you can unroll the party fun anytime you want! 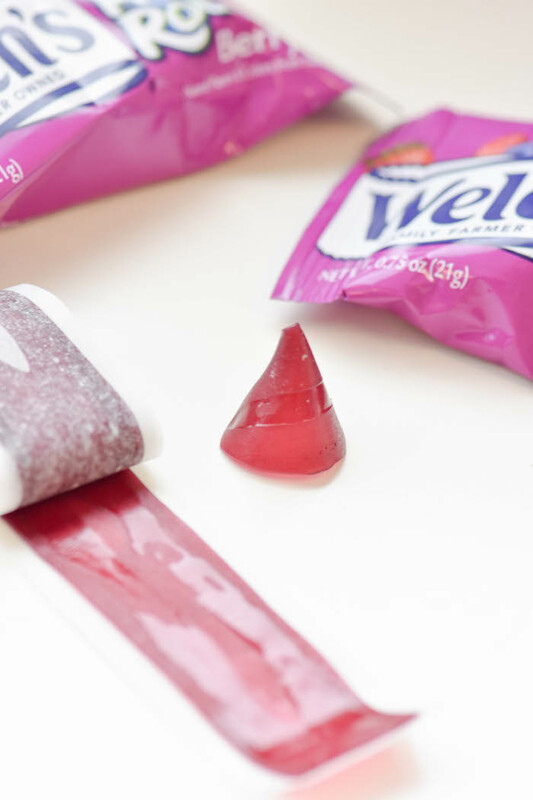 You can get the details for my favorite Welch’s Fruit Rolls and a coupon by visiting the link here. First off, gather your supplies. 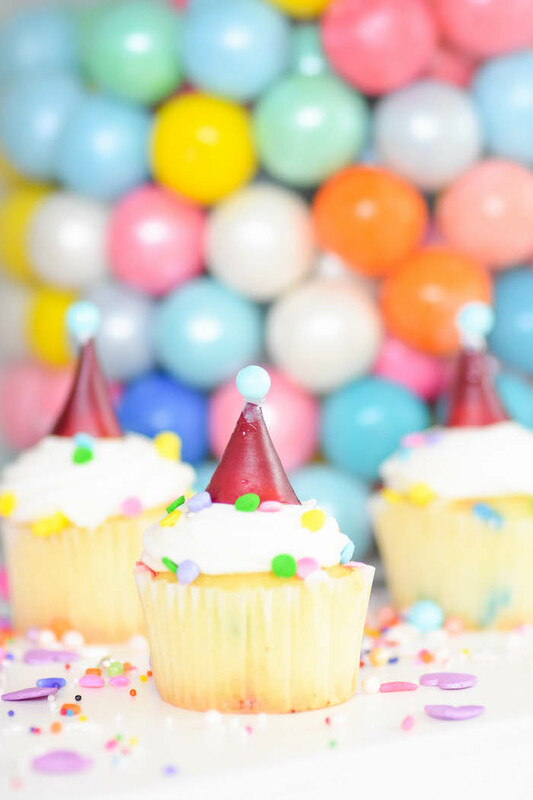 I got my ingredients at my local Walmart, but you can also find them at any Kroger, ShopRite, Albertsons, Safeway, Foodtown, HyVee, or Stater Bros.
Before you start creating the Party Hat Cupcakes, make sure that all of your cupcakes are frosted and ready to go! 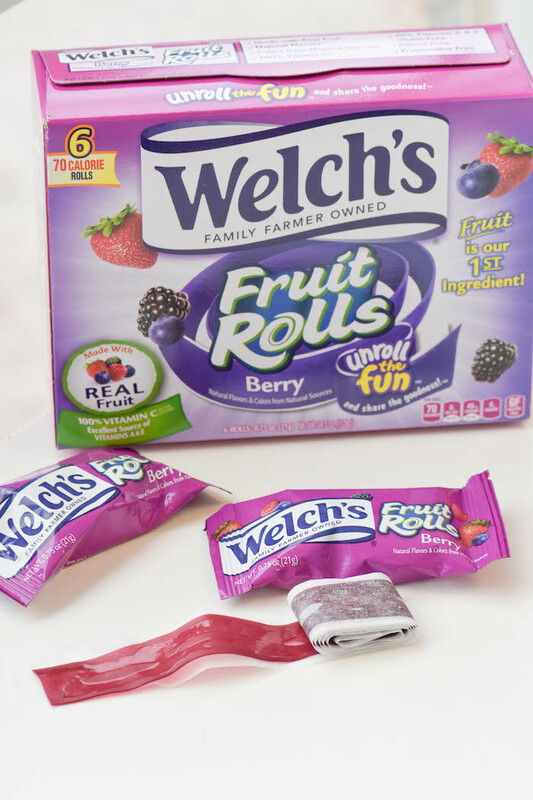 Step 1- “Unroll the fun” as you unroll your Welch’s Fruit Rolls. It’s okay if you want to munch on one while you decorate. I won’t tell. Step 7- Enjoy the fun! 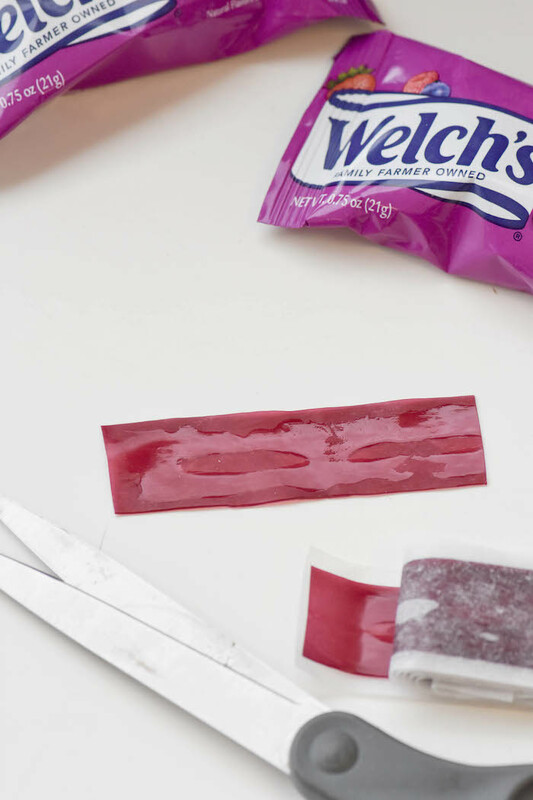 There are so many creative things that you can do with Welch’s Fruit Rolls. What will you come up with today? 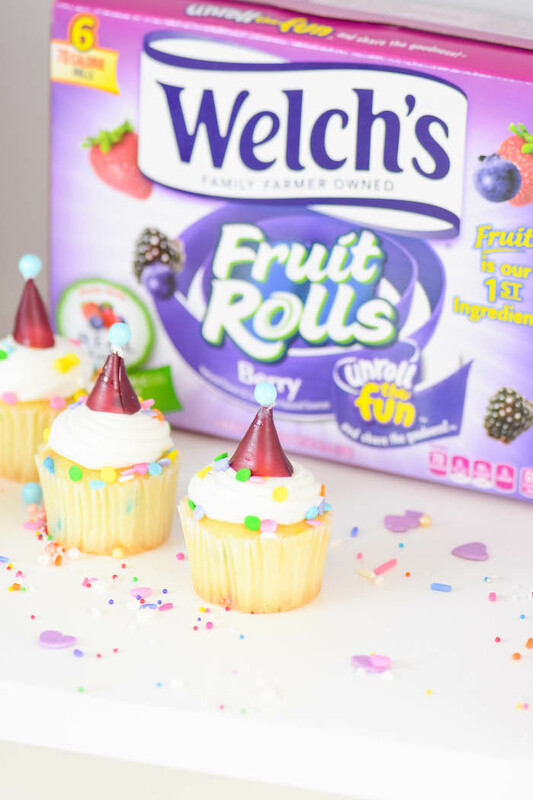 Don’t forget to head here to get more info about a Welch’s Fruit Rolls coupon to save on your next purchase. Then, comment here and tell me what you’ll be making! 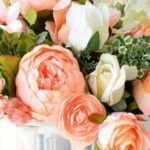 Stock Up for Summer Parties!